Bugis Junction and Bugis+ bring the best of design and craft till 30 December 2018. 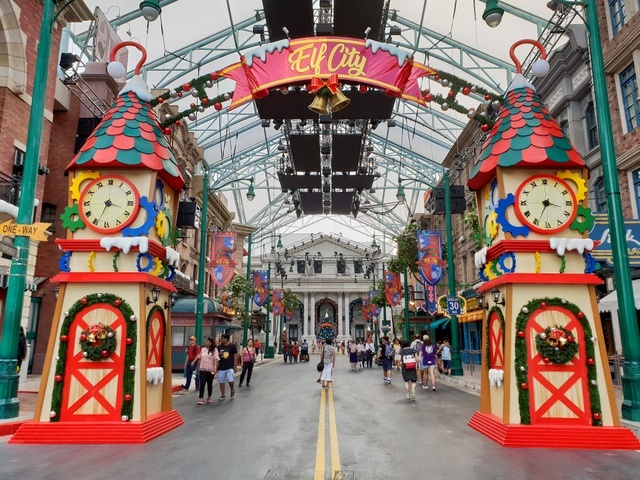 Bugis Junction partnered with ActionCity to create plenty of memorable moments and photo opportunities for shoppers with the TO-FU OYAKO IN TOMORROWLAND. Look out for the 10m tall Christmas tree-shaped centrepiece embellished with glittering lights and metallic tones. Two limited edition TO-FU-OYAKO Christmas EZ Link cards can be redeemed when you spend at least S$180 nett at any store in Bugis Junction or Bugis+. The Christmas Market featuring 20 food and beverage, lifestyle, accessories, toys and collectible booths and several one-of-a-kind carnival game booths at Bugis Junction will be extended to Bugis Square fountain area. 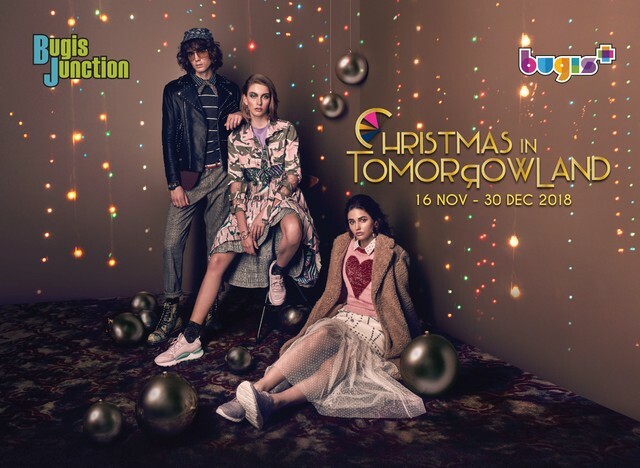 The Christmas Market runs from 30 November to 30 December 2018 at Bugis Junction Hylam Street Level 1 and Bugis Junction Bugis Square Level 1 daily from 12 to 9 pm. Shop, redeem and style your purchases at the #YouDoYou Customisation Service Booth . Yes you can create your own one-of-a-kind gift using any item you purchased at Bugis Junction or Bugis+. It is free for shoppers with a minimum spend of S$120 nett. This service is available daily from 11 am to 9 pm from 3 to 16 December 2018 at Bugis+ Atrium Level 2 and from 17 to 20 December 2018 at Bugis Junction Malay Street Level 1 (next to Tuk Tuk Cha). Visit the Craft Market at Bugis+ Atrium Level 2 and check out eco-friendly products, food, unique handicrafts and handmade jewellery pieces. A selection of 10 local artisan brands are showcased every week from Japara and twinkling lollipops from Kira Kira Kandy. Clay Magnet and cup customisation are also available for shoppers who wish to bring home customised art and wares. Christmas Wonderland 2018 returns to Gardens by the Bay from 30 November to 26 December 2018 with many attractions including the luminaries, ‘The Magic of Rob Lake’, Santa’s Grotto, Blizzard Time, outdoor skating and Garden Rhapsody light and sound show, the Festive Market, a brand new line-up of local musicians including Joanna Dong, Rani Singam & Andrew Lam, Lorong Boys, Orchestra Collective, Sobs, Sara Wee x Joie Tan x Jawn and .gif. Over 10 school choirs will also be performing at the lovely Cassa Armonica gazebo. You also stand a chance to win one of three Genting Dream family of four cruise holidays worth S$4,600 each or a 3D 2N trip for two to either Bali, Pattaya or Penang, inclusive of a two-night stay at Hard Rock Hotel and return flights worth approximately S$1,000 each in the Grand Draw. There are instant wins for various experiences at Christmas Wonderland worth up to S$30. 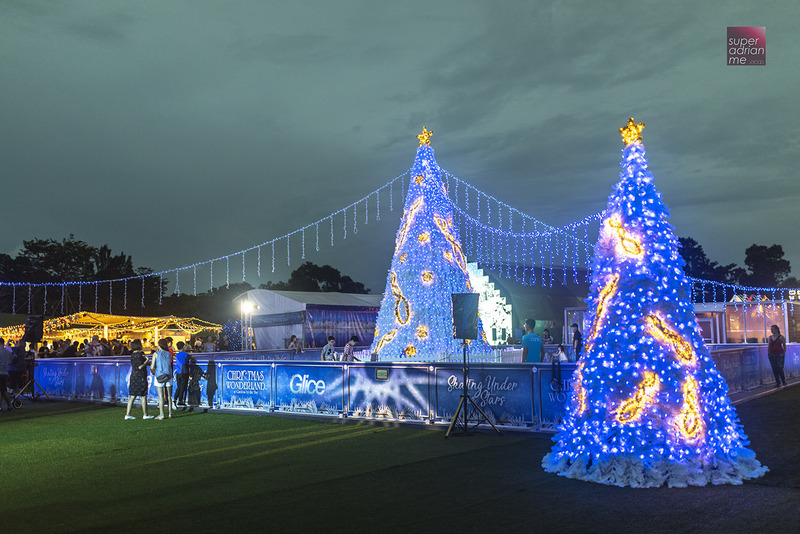 Christmas Wonderland is one of the events brought together with key event organisers by Urban Redevelopment Authority under the Celebrate in the City umbrella. A line-up of lifestyle activities has been rolled out from the beginning of November till 25 December 2018. Young children who love doing handicraft can look forward to a fun-filled session of pompom pet making workshop on 15 December from 11 am to 2 pm! Guided by handicraft masters, you will learn how to create your very own pet using yarn and simple craft materials. Participants will be able to bring home their own creation of a Pompom pet. To take part in the workshop, shoppers will have to spend $15 to receive 1 free pass. KAYNA from Ecuador will be performing an extensive repertoire, presenting the best of traditional music while combining it with present urban rhythm. Be enchanted by songs that go across traditional Ecuadorian Kichwa music, North American meditation music, ”Latin” tropical music and world music. KAYNA will perform at 12 pm on 12 December 2018. 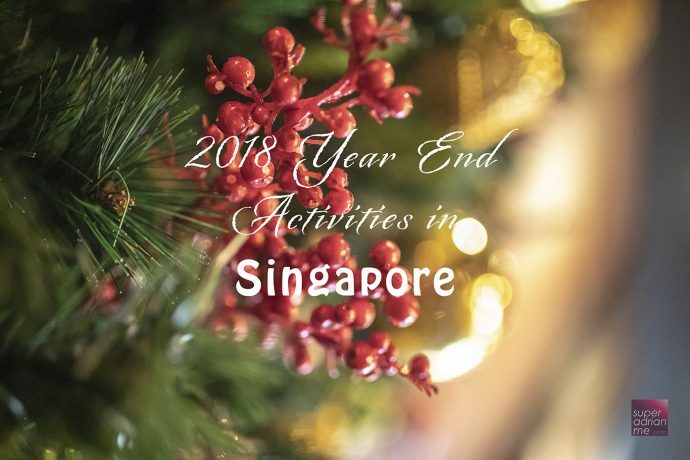 Visit https://tanjongpagarcentre.com.sg/ for more information and the schedule of activities. Tanjong Pagar Centre is at 1 Wallich Street, Singapore 078881. Culture Cartel is Asia’s first all-encompassing street culture convention with arts, toys, tattoo and fashion in a consumer trade show. The event co-organised by Habitual, Axis Group Asia and Division Communications will be held at Singapore’s F1 Pit Building from 1 to 2 December 2018. The ticketed event will also feature live talks, panel discussions about culture topics in street culture, workshops for beatboxing and fashion customisation, live performances in music and graffiti, public artworks from a global line-up of artists, a bike circuit and more. Live interviews with headliners and panel discussion about current topics in street culture will feature panelists Sam Lee (Hong Kong actor and co-founder of Subcrew), Tabitha Nauser (Pop/R&B singer), and Shangguan Zhe of Sankuanz (CN). There will also be a movie screening for “OBEY GIANT: The Art and Dissent of Shepard Fairey”, from Academy Award winning filmmaker James Moll and Executive Producer James Franco; which delves into the underground world of street art, profiling the rise of artist Shepard Fairey. There will be an invasion of provocative street art from a global line-up of artists including Jahan Loh (SG), Rukkit (TH), Beerpitch (TH), Dub Williams (US), Obey Giant (US), PHUNK (SG), SKL0 (SG), Yok & Sheryo (AU/SG), Mightyellow (SG), Erikatoon (SG), Kult Studio & Gallery (SG), and many more. Ticket prices range for S$20 for one-day tickets to S$112 for 4 tickets bundle pricing for 2 days. 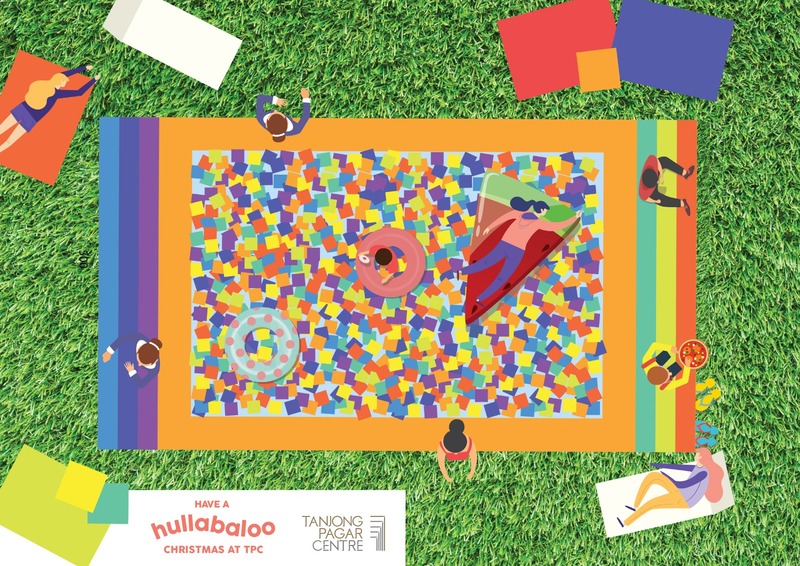 The Yard, Singapore’s biggest gymnastics and urban sports arena, will open its doors to the public for their annual Christmas Festival from 9.30 am to 8 pm on 2 December 2018. The Yard Jurong at 10 Science Centre Road, #01-03 Bestway Centre, is a 22,000 sq ft Olympic-standard flagship facility and will feature an array of performances throughout the day. 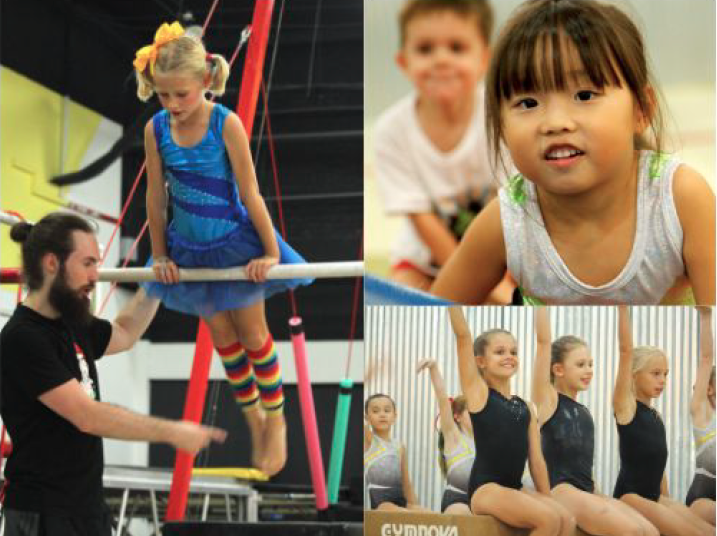 Witness a rare visual journey through an athlete’s evolution, as gymnasts, trampolinists, ninjas and free runners of all ages come together to showcase their talent. Other activities include the high-performance Squad Spectacular display between 6 and 8 pm featuring national and competitive level athletes who will dazzle and inspire. Tickets to the event is priced at S$10 per person and free admission for children under three. Purchase tickets here. 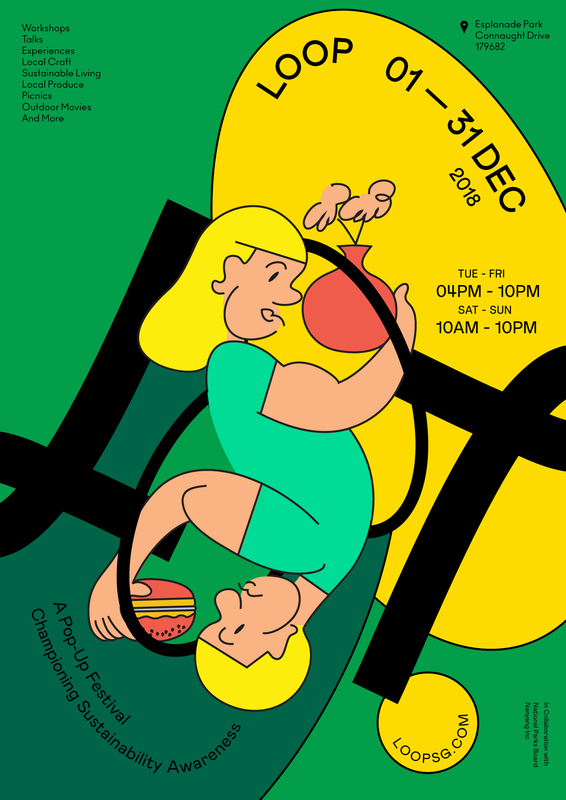 The Yard’s Christmas camps for the little ones will be held from 17 to 21 December 2018 at both Jurong and Dempsey. From 3 to 9 December 2018, the main atrium at Millenia Walk will be transformed into a celebration of food and lifestyle of Finland and Estonia. A selection of merchandise will be featured for the first time in Singapore. Check out Finnish Goodio chocolates, Rock Paper Scissors craft beer, Arabia kitchenware, Iittala glassware, Fiskar utensils, Hackman cutlery, and Pihqa spruce resin Balm. Estonian brands such as Distillirium Gin, Siidrikoda apple cider, AndreFarm cheese, LOOV organic berries crispies and Alpaka scarves and shawls. Brawn & Brains Coffee cafe from Singapore will be presenting a range of authentic Finnish pastries by its in-house Finnish baker. Preview “Helsinki: The Virtual Capital of the World”, a partnership with Finnish virtual reality studio Zoan and the Embassy of Finland. It explores the concept of Virtual Tourism and its multifaceted influence on the future of retail and travel. 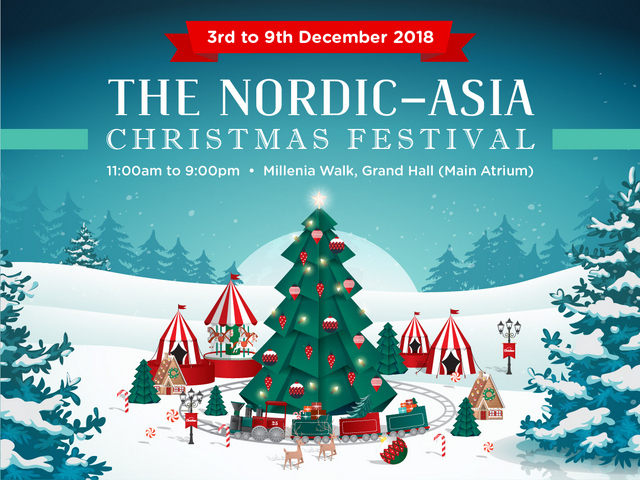 The inaugural Nordic-Asia Christmas Festival is organised by The Next Twenty Group and its food and lifestyle subsidiary Nordic Nature Singapore, in close collaboration with the Embassy of Finland, Enterprise Estonia, and Millenia Walk. Supporting partners include the Embassy of Sweden, Finnair, Zoan, Rakka Creative, HiverLab, and WAAVE. 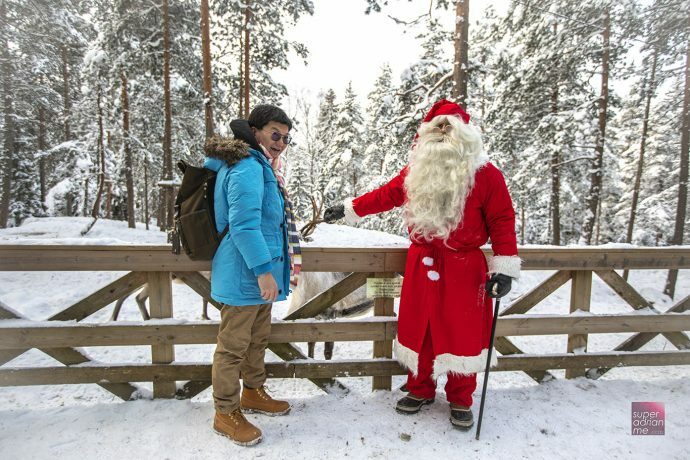 I met Santa Claus in Nuuksio, Finland in early 2018. Finnair, Santa Claus’s official airline since the 80s, will fly Santa from his hometown in Rovaniemi to Singapore. Santa will land at Changi Airport Terminal 1 in the early evening on 5 December 2018. He will make a special appearance at the arrival hall and Finnair’s check-in area. Santa will be handing out piparkakut (traditional Finnish gingerbread cookies) to passengers taking the night flight out to Helsinki. He will be at the Nordic-Asia Christmas Festival at Millenia Walk on 7 and 8 December. He will make an appearance at the Embassy of Finland to celebrate Finnish Independence Day and participate in the Finnair Football Fiesta community event. He will dop in at the GEMS World Academy Kindergarten and the Overseas Family School as well as visit the sick children at KK Women’s and Children’s Hospital. 1880 private members club opens to the public on 3 December 2018 for The 1880 General Store Preview Party, a special edition festive shopping pop up. Indulge in an evening of champagne and music. The pop up features homegrown brands such as Mmerci Encore aromatherapy goods, House of Sheens designer handbags and Singapore Perfume Label Scent by Six amongst others. 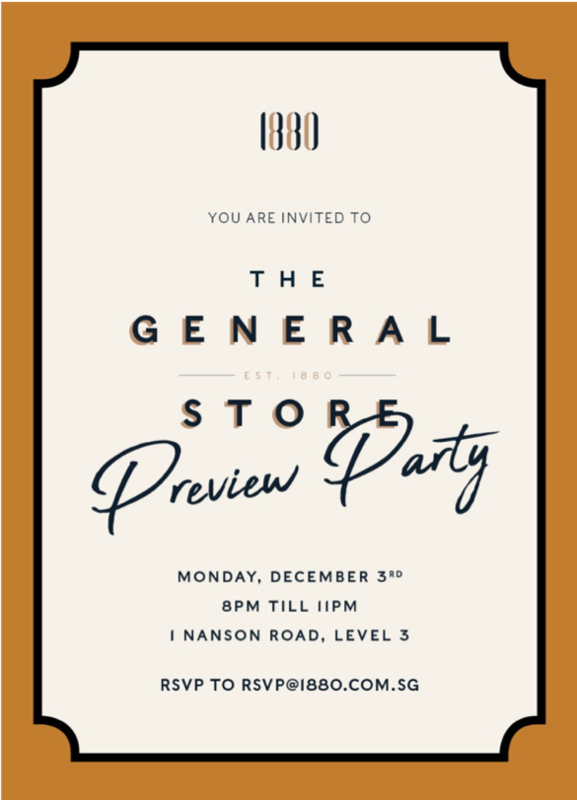 The 1880 General Store Preview Party is held from 8 to 11 pm on 3 December 2018. Entry is free and strictly by RSVP at [email protected] 1880 is located at 1 Nanson Road, Level 3. Resorts World Sentosa transforms for the Christmas holiday season in December. Join favourite characters in the largest ever Christmas parade at Universal Studios Singapore’s A Universal Christmas (1 December 2018 to 1 January 2019) or Southeast Asia’s first Glowing Ocean (23 November 2018 to 6 January 2019) featuring glowing sea animals and a stunning light art installation at S.E.A. Aquarium. Enjoy Fun in the Sun (17 November to 30 December 2018) with Instagram-worthy food-themed floats and water games at Adventure Cove Waterpark. You can also visit the adventures of Luffy and his crew of Straw Hat Pirates in “Hello, ONE PIECE!” (27 November 2018 to 1 January 2019), a first-of-its-kind exhibition at The Maritime Experiential Museum. LOOP is a month-long lifestyle festival in December 2018 that features over 100 local craft makers, food and beverage vendors and household and beauty companies that champion sustainability awareness, in collaboration with National Parks Board and Nanyang Inc. This plastic-free pop-up experience is open to the public on the grounds of the Esplanade Park in the multi-storey community space. Register for the experiential workshops organised across the five weekends featuring local craftsmen, local growers, cooks and edibles. Enjoy special perks when you consume consciously including free metal straws when you hashtag #LOOPSG at the event or coffee for a dollar when you bring your own mug. Weekly movie screenings by Popcorn featuring films that focus on sustainability-related themes and free sunset yoga sessions will be held from 5.30 pm every Saturday evening. Visit http://www.facebook.com/loopsingapore for more information and schedule of events. The festival occurs throughout the month of December from 4 to 10 pm on weekdays and 10 am to 10 pm on weekends. Entry is free while pre-registration is required for selected paid experiences. 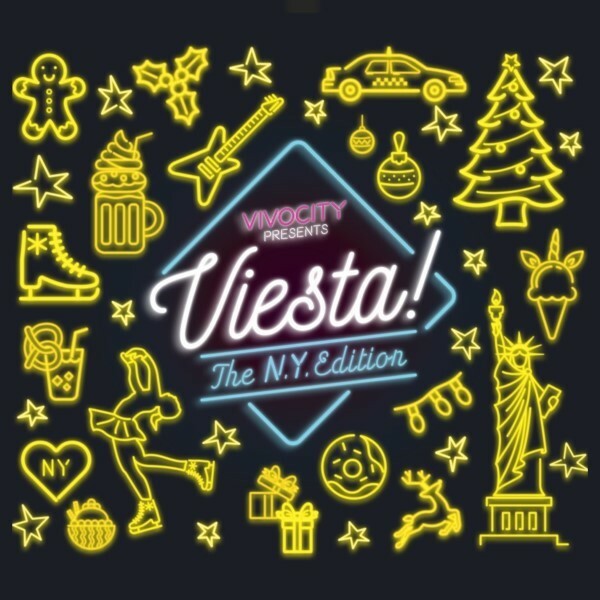 From 7 to 25 December 2018, you can skate around an 8m Christmas tree under the night sky at VivoCity’s outdoor Plaza in conjunction with “Viesta!”, the mall’s Christmas celebrations. The 35m by 10m synthetic skating rink will feature a self-serve online ticketing system. Prebook and purchase your skating sessions to avoid disappointment. Viewing gallery tickets are available for purchase separately. Tickets are priced at S$12 per 30-minute session for Mondays to Thursdays 4.30pm to 6.30pm. All other days and timings are priced at S$14 per 30-minute session. Skating is available from 4.30pm every day and ends at 10 pm from Mondays to Thursdays and 11 pm for Fridays to Sundays and eve of and on Public Holidays. There is an extended skating session on 21 December where you can skate till 1 am. The Skate nights are themed from 7 pm onwards daily. There are Movie Mondays, Kpop Tuesdays, Mambo Wednesdays, Throwback Thursdays, Top Hits Fridays, Electro Saturdays and Popping Sundays. Check out the daily session timings on 24 and 25 December where you can skate with Santa. 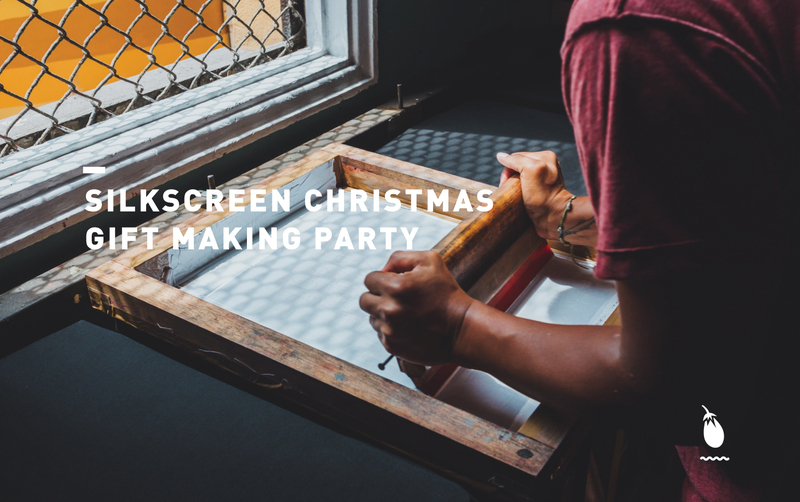 At the party, you get to learn the basics of screen printing techniques, including how to mix colours and properly transfer ink to canvas. You will get to hand print a myriad of different items that will make Christmas, birthday or festive presents for friends or family. Several botanical and Christmas themed silkscreen frames made in advance will also be available. You will get to try to print a large canvas tote bag, a cotton zipper purse and a set of six Christmas cards, with the option of purchasing more blank materials on site too. Complimentary light bites and farm-brewed tea refreshments will be provided. 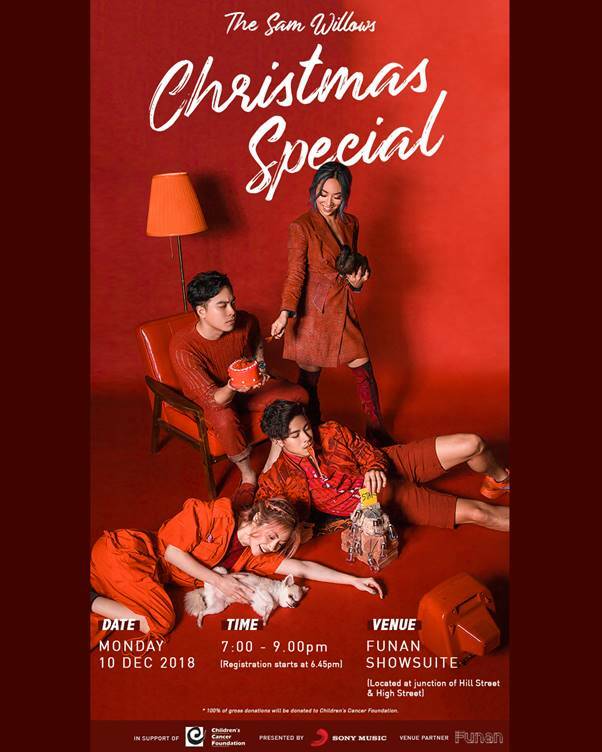 In the spirit of Christmas and giving back, The Sam Willows will be performing for one night only on 10 December 2018 from 7 to 9 pm at the Funan Showcase in support of Children’s Cancer Foundation. The band will be donating 100% of the gross donations from the show to raise childhood cancer awareness and funds for CCF. “Christmas is and always will be a blessed time for everyone, no matter the circumstance or specifics. With this special event, all we want to do is bring a little bit of the Christmas we know to everyone’s hearts and having CCF be a part of this really means the world to us cause, at the end of the day, the greatest Christmas gift we can receive is knowing we made a difference to some of their lives,” shares Benjamin Kheng. The group has also recently released an original Christmas song “I’m Gonna Be Loved (This Christmas)” and are gearing up for their “Christmas EP” which is a special release featuring classic holiday tunes with the band’s own twist on them this 30 November. The video above was produced by The Sam Willows to help 16-year-0ld Nurul Shafikha Bte Kamsani to fulfil her dream to be a singer and YouTuber on 19 September 2018. She was diagnosed with High-Grade Glioma (brain tumour) in 2017. She wanted to create a song that will help to bring hope and happiness to people who may be in a similar situation. The music video features the recording session and the reactions of her family members after hearing the song, was produced as a gift of love that Shafikha hopes to leave behind for her family. It is Starbucks’ 15th Christmas Open House in support of the Salvation Army. 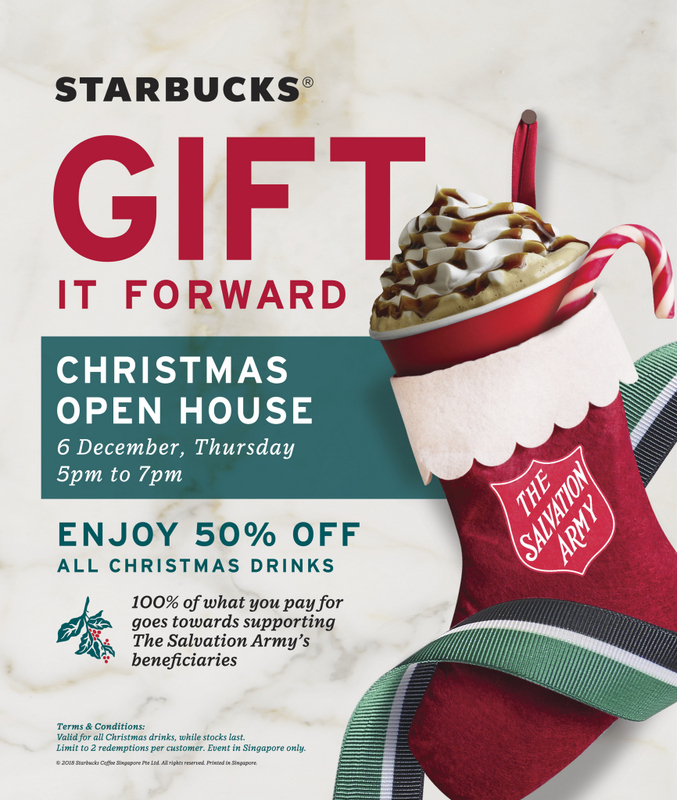 All Christmas beverages will go at half price at all Starbucks with 100% of proceeds going to the Salvation Army on 6 December 2018 from 5 to 7 pm. Last year, Starbucks raised S$68,000. Each customer can purchase up to two Christmas handcrafted beverage of any size. Starbucks X ban.do Designer collection is back in Singapore this week. The drinkware collaboration with LA-based design house features fashionable checkered prints. Prices of this range of merchandise start from S$19.90 for the pouch to S$36.90 for the 12 oz tumbler. 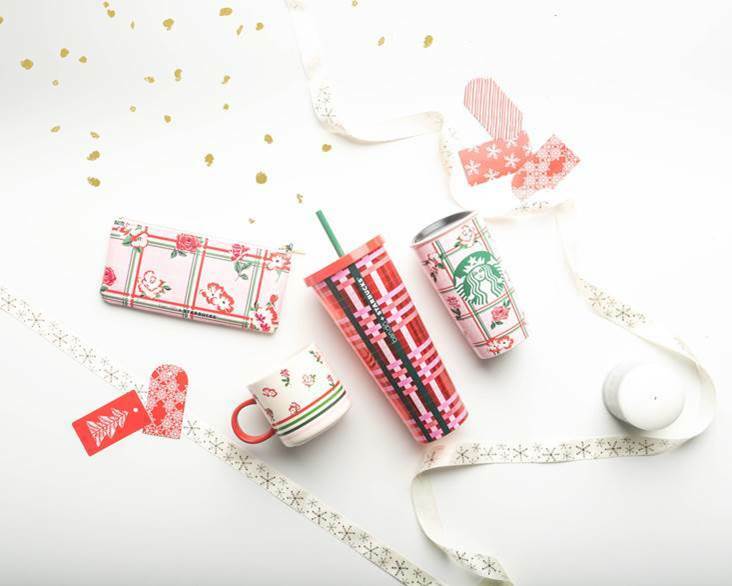 There are other ranges of mugs, tumblers and accessories perfect for the Christmas season. Enjoy one-for-one venti-sized drinks between 3 to 7 pm from 27 to 29 November 2018. The free drink will be that of the lower price and is limited to two-set-orders per customer. 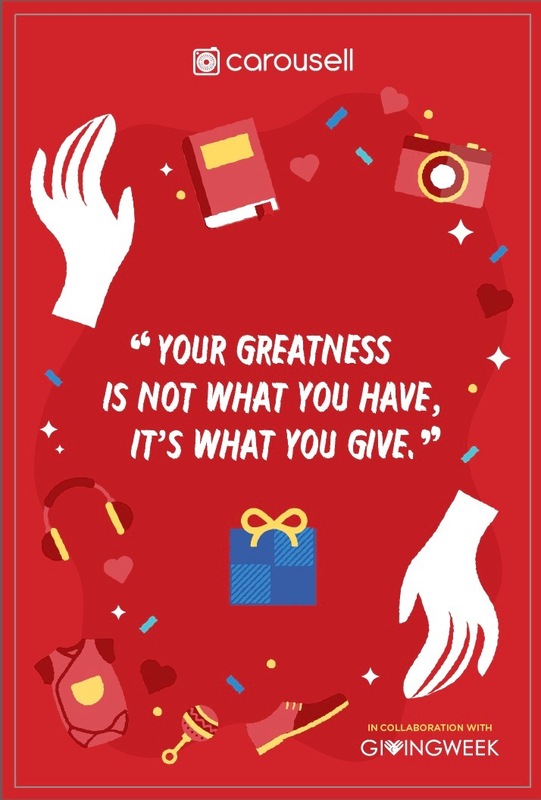 Carousell recently launched #PrelovedWithLove, a charitable movement which aims to encourage the act of gifting and giving in a meaningful way. Developed in collaboration with the National Volunteer and Philanthropy Centre (NVPC), the campaign is held in conjunction with NVPC’s Giving Week. This campaign encourages the act of passing underused personal items on to someone who may have a greater need for them. Carousell has teamed up with local creatives, entrepreneurs and prominent personalities such as Narelle Kheng from The Sam Willows, actress Nadiah M Din and Melody Chen amongst others. Each has put together a box of items that they no longer use, along with their personal stories attached. These boxes will be listed on Carousell for auction and all proceeds will be donated to charity. The boxes will be listed for auction from 27 November to 25 December 2018. You may also be a part of the movement by listing your own box or item at $0 using the hashtag #PrelovedWithLove, to pass your item on to someone who may benefit from it. These $0 blessings will be featured in a Special Collection to facilitate preloved exchanges for those in need. The auction and $0 blessings Special Collections will go live for all Carousell users in Singapore from 27 November 2018 until 25 December 2018 on the Carousell app and web version. 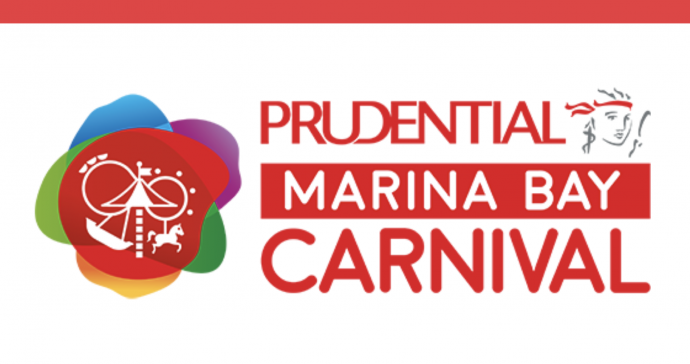 The Prudential Marina Bay Carnival returns to the Bayfront Event Space for the second year from 22 December 2018 to 24 March 2019. There will be 50 rides and games, including four new ones in a space of over 23,000 sqm. There will also be roving food trucks, buskers and local artisans to teach visitors new skills through a curated series of art and craft workshops. visit marinabaycarnival.com for more info. The carnival will be open from 4 to 11 pm daily with extended hours for Christmas Eve & New Year’s Eve till 2 am. There is no entry fee for Prudential Marina Bay Carnival. However, prices for rides and games will also be made more accessible for all visitors. Fast track passes are also available for purchase for visitors who wish to skip the queues at selected rides. Dress in line with the theme of ‘Future-Forward’ and you may just get to skip the queue and stand a chance to win bonus credits. 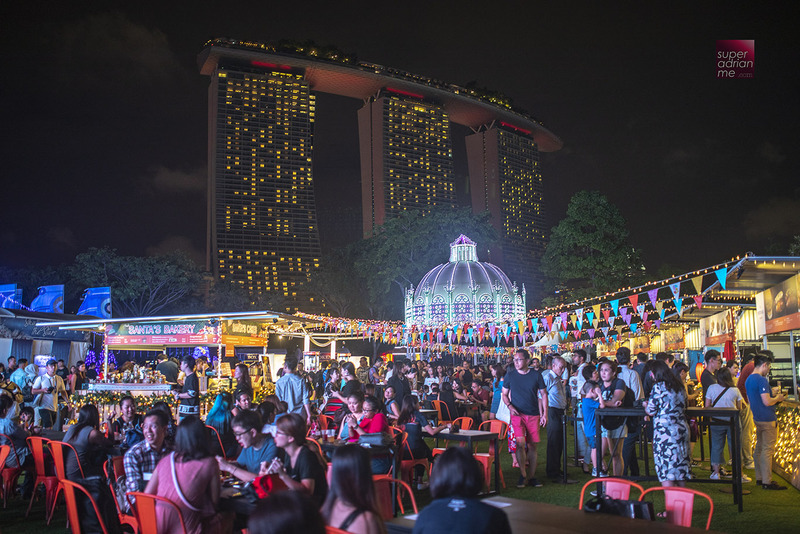 The Prudential Marina Bay Carnival is one of the events brought together with key event organisers by Urban Redevelopment Authority under the Celebrate in the City umbrella.